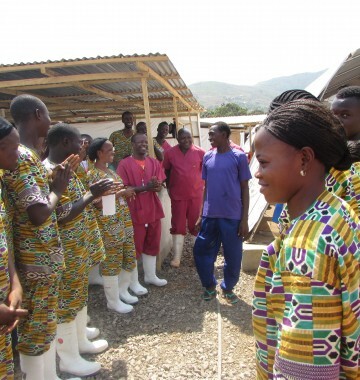 First Clinic Patient Free of Ebola! After two weeks of battling with the deadly virus, and having lost both parents to it, Sorie walked out of our Ebola Community Care Clinic on 11th February 2015, Ebola-free! It was a great day for the medical staff at the Treatment Center in Kuntorloh, Sierra Leone, as Sorie, 24, was the first person to have recovered from Ebola within the centre. The centre was built in partnership with Medair, an international aid agency, and UK AID. Finally reunited! 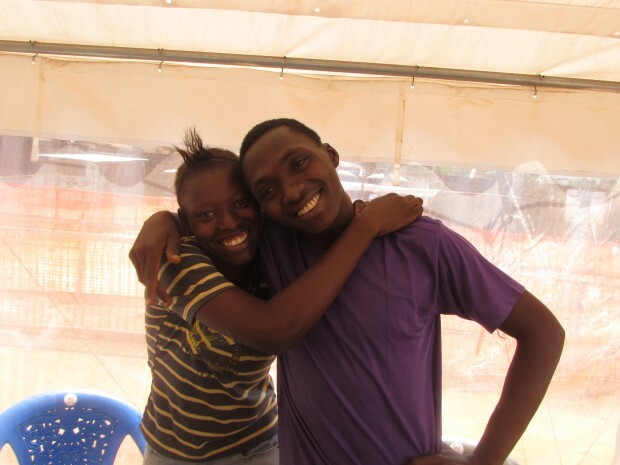 17-year-old Ramatou came to get her brother Sorie at the Ebola treatment center on the day he was discharged. She was so happy to see him alive (they lost their parents to Ebola) that she jumped into his arms.